As Executive Vice President for the New York Stock Exchange’s Global Corporate Group, Noreen Culhane is responsible for the Exchange’s efforts to attract new listings and to serve companies already listed. She manages Business Development, Client Service, Marketing, Sales Support, and the Initial Public Offering process and Structured Products for the Exchange’s business worldwide. A first-generation Irish American, with roots in County Kerry, Culhane believes that strong relationships founded on mutual trust and respect are essential to economic growth and peace and that Ireland and the U.S. should lead the way and be a model for others. 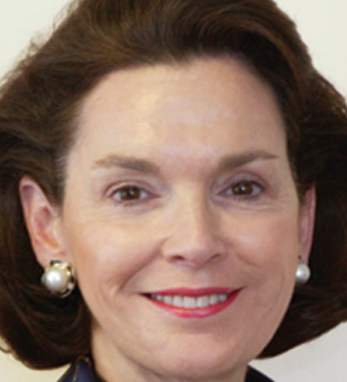 A native New Yorker, Culhane obtained an undergraduate degree from the College of Mount St. Vincent, where she serves on the board, and a graduate degree in education from the College of New Rochelle. She also completed the Advanced Management Program at Harvard. She serves on the Operations Committee for the NYSE and the Fund Raising Board of the Borough of Manhattan Community College. She is a board member of the Marco Polo Network, and a hoard member of the Economic Club of New York.